Property 4: Enjoy an Amazing Summer Vacation Experience at The Polaris Pointe at Snowshoe! Property 5: Log Fireplace-ski in ski out, 2 bedroom 2 bath flat, Snowshoe Resort finest! Property 10: Snowshoe has so much to offer for the Summer! Private & picturesque. Satellite TV, wifi, fireplace. 1 mile to Snowshoe. Property 12: Private & picturesque. Satellite TV, wifi, fireplace. 1 mile to Snowshoe. 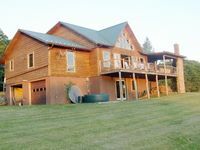 Property 13: West Ridge 11- Hot Tub, Game Room, Grill, Fire Pit, Dog Friendly! Property 14: Family-friendly slice of heaven! Property 25: West Ridge 62- 5,000 s.f. of Luxury Mountain Living, Hot Tub, Amazing View!! 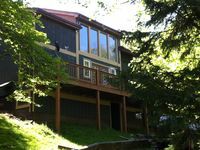 Property 29: Cozy home right at Snowshoe mountain!! Only 15 minutes to Snowshoe Mountain. Perfect family vacation home. Property 30: Only 15 minutes to Snowshoe Mountain. Perfect family vacation home. Beautiful Ski In-Ski Out Chalet near the top of the Western Express Ski Lift. Property 47: Beautiful Ski In-Ski Out Chalet near the top of the Western Express Ski Lift.